The sharp, pungent aroma of wild garlic invades my nostrils as I inhale in deeply. My fast, rhythmic breathing and the occasional swish as my fingertips brush the fern fronds aside are the only sounds to disturb the gentle birdsong in the air. I'm gliding noiselessly through the forest. Fleet footed, swift and agile like a mountain hare. This is what's happening in my mind...although in reality I suspect what's really happening is that all the forest creatures are scrambling over each other in a blind panic, as they scatter and try to get out the road of my lumbering frame as it comes crashing and thundering through the undergrowth. Any dog walkers that I happen to pass are also probably wondering whether or not they should phone an ambulance for the man with the bright red, sweaty, baw-face that's making strange wheezing/whistling noises on every out breath as he hurtles past! Yes, I've taken up running. Again. I've been here before, a few times in fact, and it always ends in misery with me giving up due to the pain in my calves/shins. Having reached a plateau with my cycling related weight loss coupled with the fact that cycle commuting may not be on the cards for much longer anyway, I was determined to have another bash at running. With the steroids I take to keep the Sarcoidosis at bay it seems I need regular cardio activity to prevent me ballooning up. Having done a little research it appears my previous running injuries were all "over use" related and possibly, I thought, related to the fit of my footwear. With this in mind I decided to visit the nice people at Run4it and ask the advice of someone in the know. Turns out that because you place your foot more carefully when trail running that they don't make shoes for over-pronaters/supinators. They had me on the treadmill regardless, and after patiently answering all my stupid questions I tried on various pairs and eventually left clutching a pair of Salomon Fellraisers. Looking at the construction of the shoes they certainly live up to their inspiring name and I must say my first impressions are very good indeed. 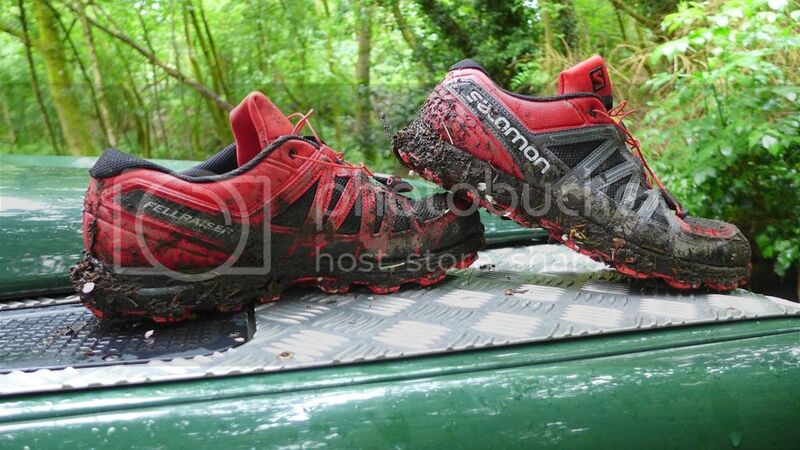 It's like they've stolen the best bits from both the XA pro 3d and the Speedcross and come up with these. I love both those shoes so I had high hopes for these. As you would expect they are nice and lightweight yet tough feeling. 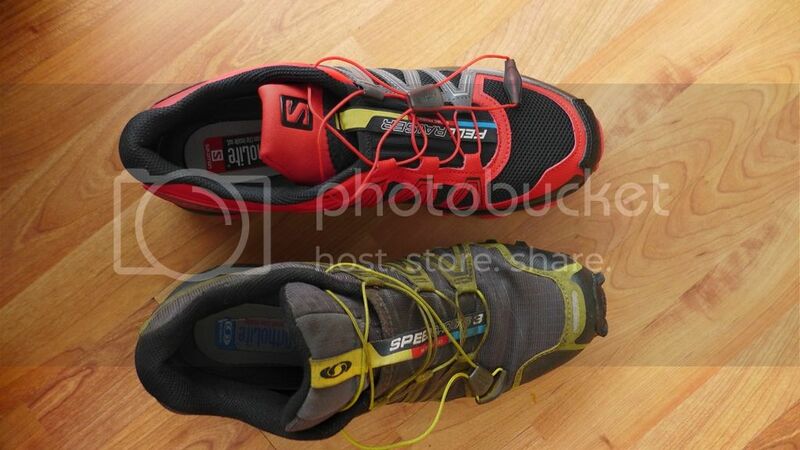 The sole unit is similar to the Speedcross with its super aggressive multi directional lugs that are impressively deep. 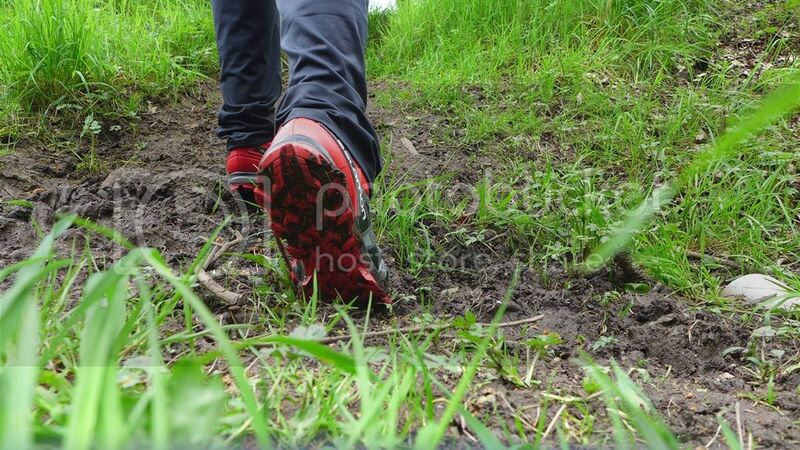 The upper has a wider toe box reminiscent of the XA pro 3d fit and a tough, stiff protective material around your toes that extends the full length of the shoe and around the heel making it very supportive and shrugging of scrapes and bumps. The mesh on the uppers is quite open and very breathable, we'll need to see how this lasts over time but it doesn't feel fragile. 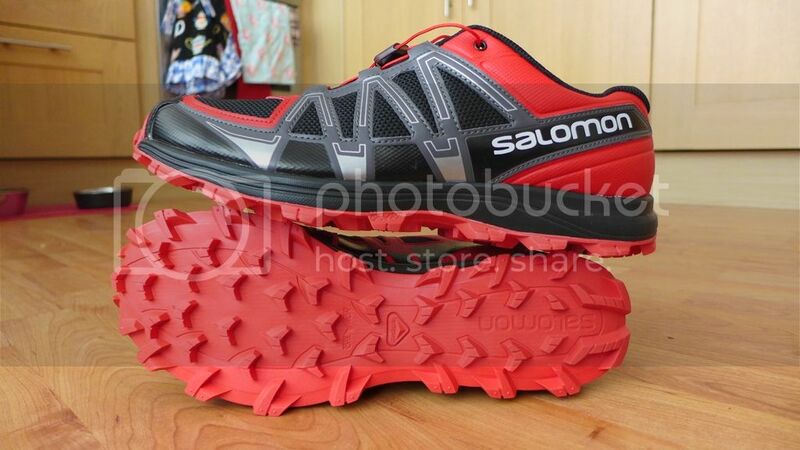 They come with the standard Salomon speed laces which I think are pure genius and should be fitted all footwear everywhere. There's a mesh cover over the tongue to stop debris getting in which so far has been very effective and speaking of that tongue, it's huge. It looks like it should get in the way but it doesn't. If anything, it helps you tuck the laces inside the wee pouch on it after tightening a little bit more easily. I've been using them pretty hard over the last month and so far I'm pretty damn impressed. We've become best pals and if they wear well over time, we'll stay that way I think. 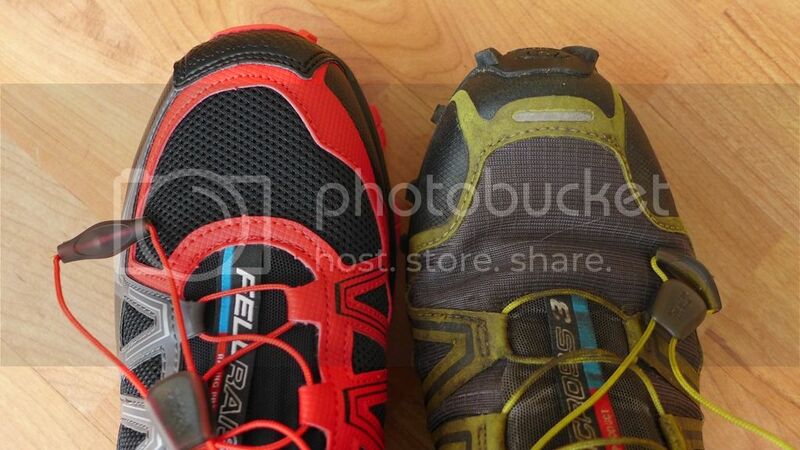 The wider toe box allows for my feet to spread when running which relegates my Speedcrosses to walking duties only. 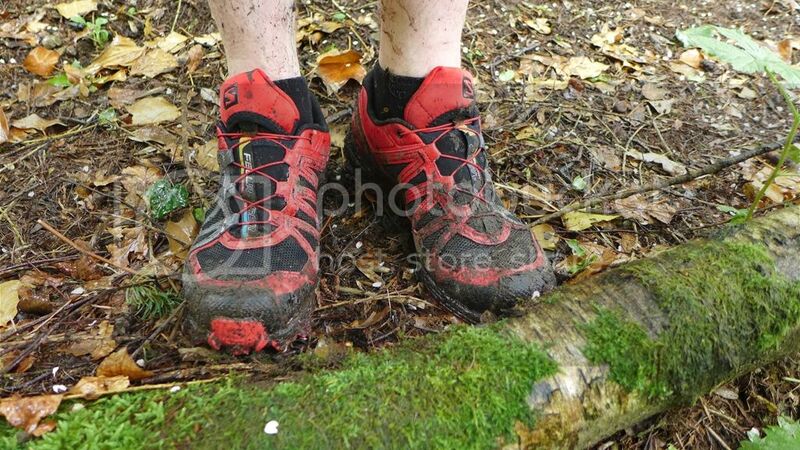 I've found the forefoot to be very stable when running and those lugs bite deeply into the soft mud and leaf litter in my local park allowing for some pretty fast but confident descents. The heel cup is supportive and the close fit of the sock like upper holds my foot snugly. 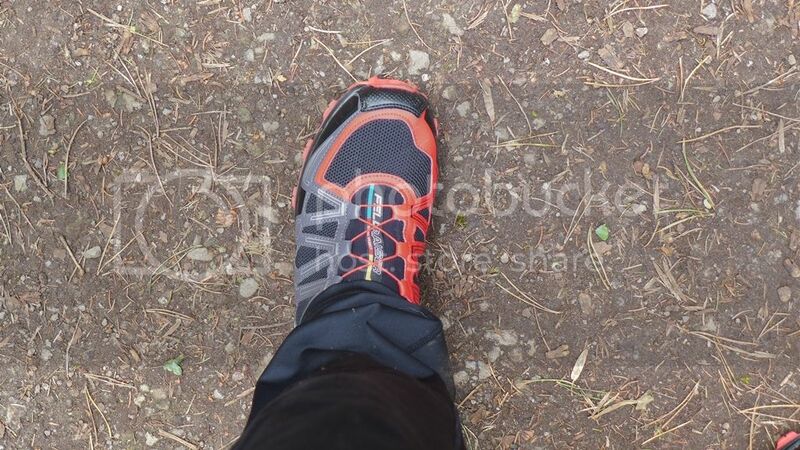 The sole unit is nicely cushioned too but not overly so, you can still feel the trail underneath you. I'll admit, I was expecting those deep lugs to feel a little squirmy on harder ground but so far I can't say I've noticed it. Maybe they're a harder compound than the Speedcrosses or just slightly smaller? As for the running itself? well so far it's been enjoyable. Mostly. I'm taking it easy, building up my distance slowly and listening to my body. Injuries have been avoided so far and I feel a good bit fitter already...although I'm not sure whether that's just a perception or actual reality. It's also just nice to escape to the outdoors every other day and spend an hour or so in the peace and quiet. 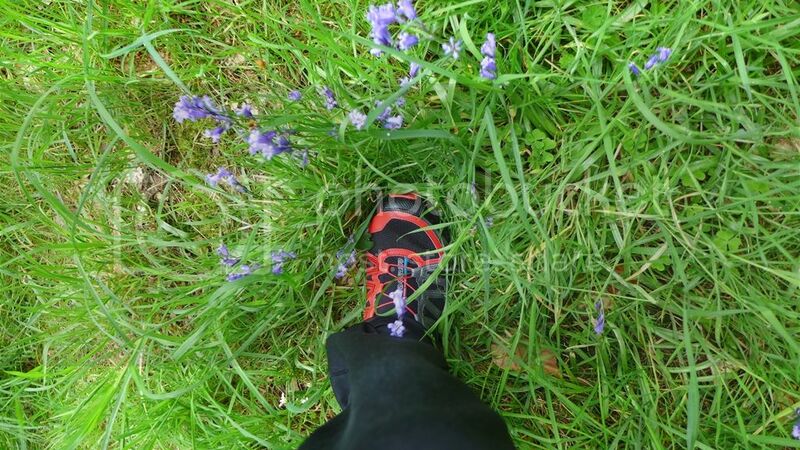 Anyway, here's some proof I've actually been out running in these shoes...just try to ignore the wibbly wobbly bits though, they're the reason I'm running again! I like em. I use Speedcross and XA pro. So those need to be on my list next. Thanks for that review. musings of a mediocre mann | Let there be Rock. Sam and Jodies European Vacation | Now with 80% less Chevy Chase. Volcanos, hotsprings, and weird beaches! An excuse to start running again.